Japanese timepiece company Casio has announced their latest collaboration with a childhood favorite cartoon series you may have heard of, Transformers. Both brands are celebrating their 35th anniversary, each hitting the Japanese market back in 1984. 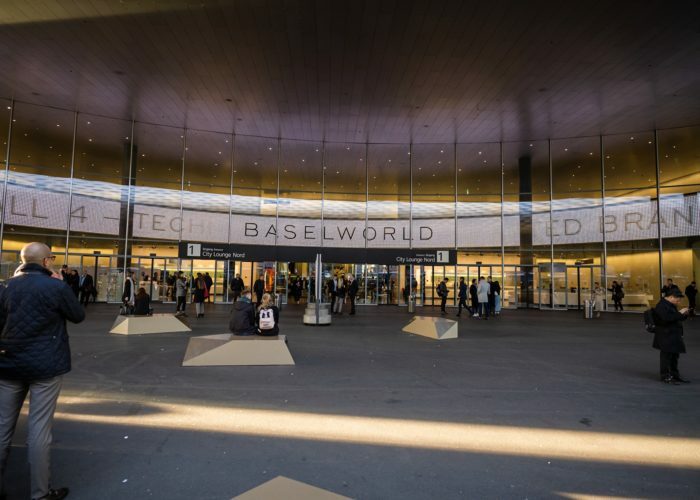 This isn’t the first time we’ve seen these two Japanese icons work together, the two brands show true growth in their respective fields and have developed a relationship that has lead to multiple collaborations in the past. Transformers is an animated series created by Japanese toy company Takara Tomy. The toys depict the story of extraterrestrial robotic alien forces, Autobots and Decepticons, fighting a civil war for peace and evil. Their battle traveled from their galaxy to Earth, subtly fighting on the planet by taking the form of common automobiles and machinery. Since the 80’s, Transformers evolved from small comics and toys to multiple television series and multiple major motion films, making the intergalactic transforming aliens a giant success. 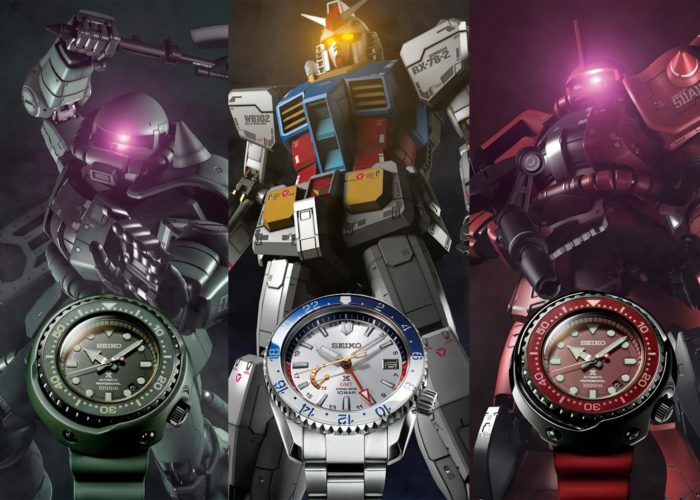 G-Shock is no stranger to Japanese anime and comics, collaborating with the likes of Shonen Jump’s One Piece, Gundam, Sailor Moon, & Akira in the past. Teaming up with another Japanese fan favorite, especially one that shares the same birthday, seems like a match made in heaven. 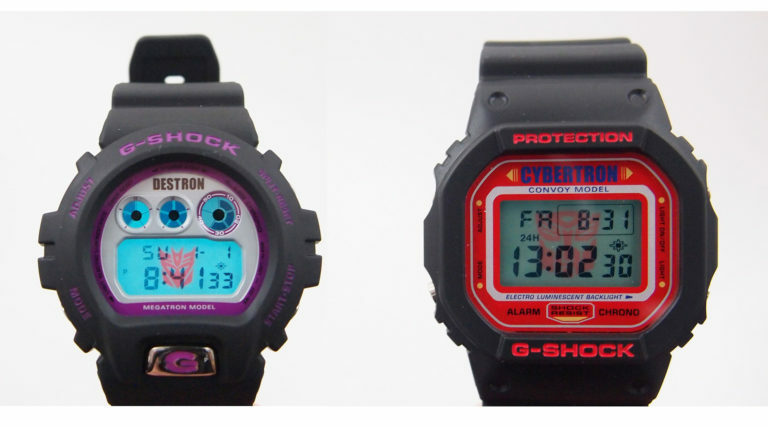 In 2007 and 2008, the two powerhouses joined forces, with Transformers putting their twist on the DW-5600 and the DW-6900, each representing a Decepticon and an Autobot. 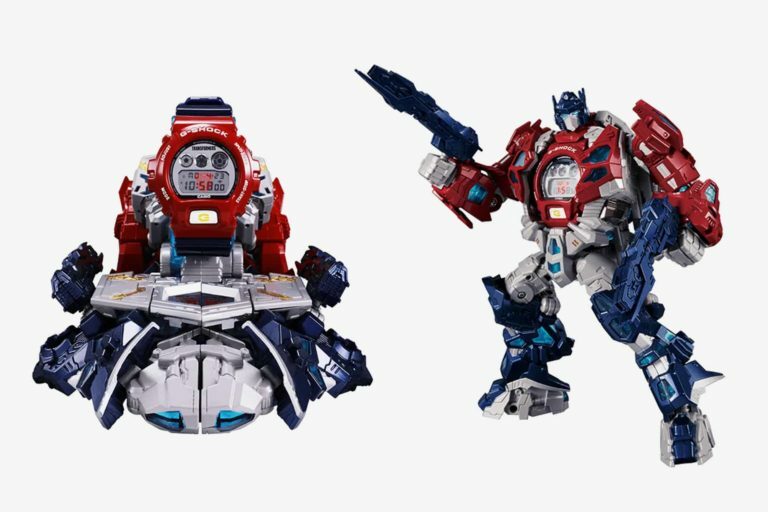 For this special occasion, the two brands went all out to celebrate in the biggest way possible, creating a watch based off of the Autobot’s leader itself, Optimus Prime. But this isn’t just any simple collaboration with a box. 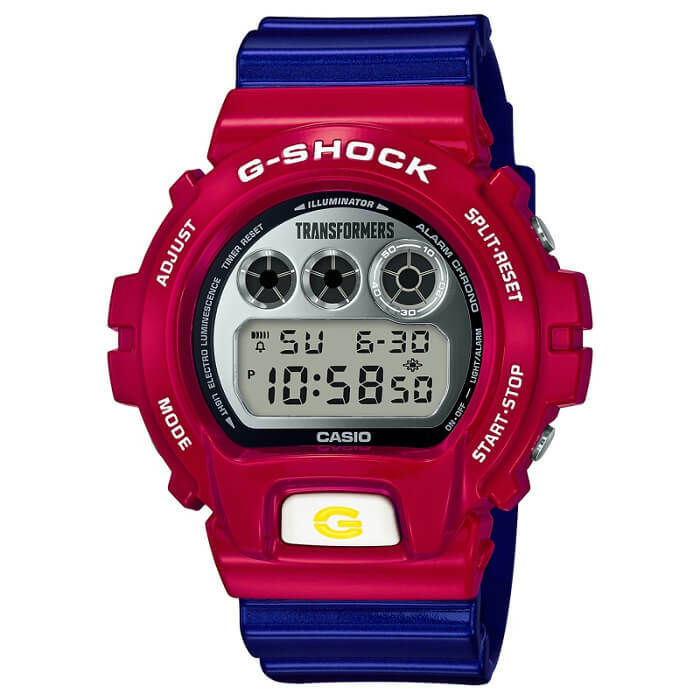 The DW-6900 model comes donned in Optimus’s signature colors of red, blue, and hits of yellow. 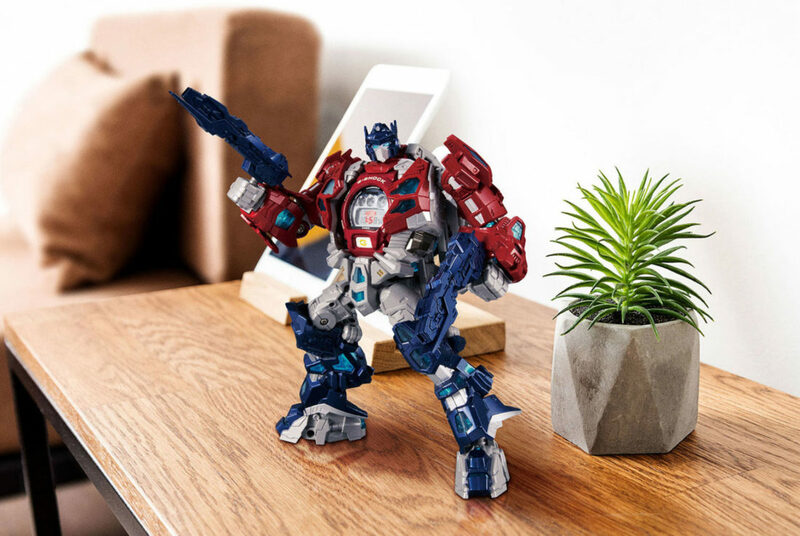 The watch comes with a stand that transforms into an Optimus Prime figurine, equipped with fully movable arms, legs, and even blasters. The Transformers x G-Shock DW-6900 is a Japan-only release, slated for December 8th for￥29,000 ($260). It will be extremely limited so this collaboration is definitely one that should not be underestimated. 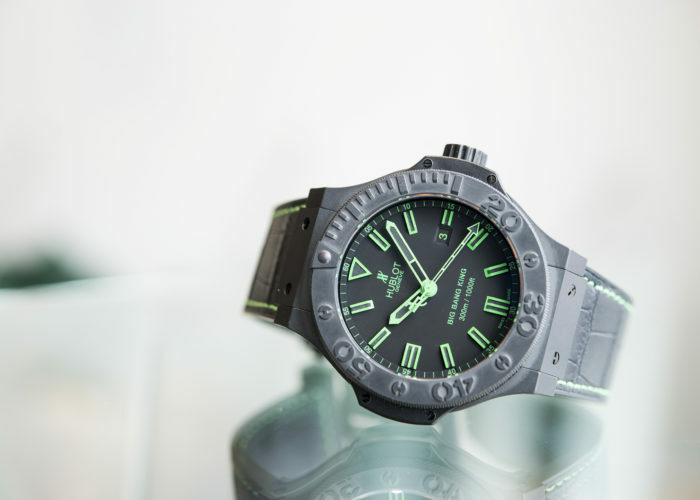 Visit our wide range of G-Shocks on our page and good luck to those that decide to ROLL OUT on this great piece of wrist wear!